Balazs Heller provides a wide variety of options to facilitate powerful team building Trainings & retreats for all types of corporations. Flexible programs according to the needs and requirements of the company Balazs provides training programs for employees/ managers on work efficiency, team building, self-development, conscious eating, living and working. Join Balazs Heller's transformational retreat to set a new chapter in your life. 2 days of cleansing your body with homemade vegan food & freshly squeezed juices & Smoothies, practicing yoga and meditation two times a day, 6 hours of self-empowerment life coaching course... 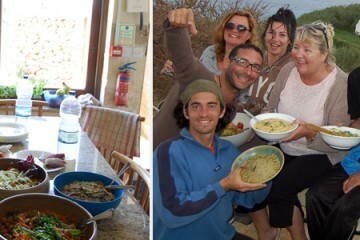 These are just a few reasons to come and tranform your life with balazs heller life coach, vegan yogi & inspirational speaker on the peaceful island of gozo. Give yourself the time and space to finally focus only on yourself! Turn off your mobile phone and move into a peaceful Gozitan farmhouse, where you can finally treat yourself the way you deserve it. 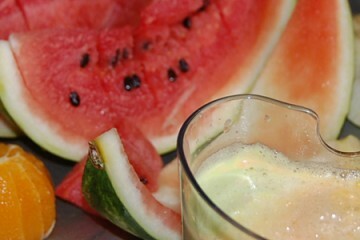 Detox & loose weight with freshly made vegan breakfast, lunch, dinner served with freshly squeezed fruit & green juices. 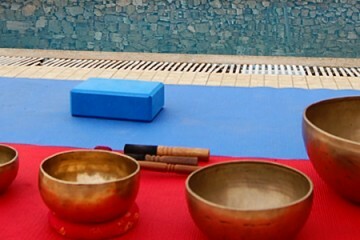 Start the day outdoor in the sunset with Tibetan Singing Bowl Meditation & Prayers to release stress, anxiety, fears and to appreciate the present moment. Transform your life with empowering life coaching seminars to become clear on who you are, what you want and how to reach your goals. Swim in the sea at Ramla Bay which is only a couple minutes away from your house. Travel to exotic and beautiful Kenya, explore world famous Game Reserves, practice yoga and support Eco jobs in rural Africa. The parks we are visiting are truly stunning. Daily yoga with the European Yoga Asana Champion, Balazs Heller every morning before Safari. Swahili instruction and practice throughout the day. This is an excellent opportunity for world-class wildlife photography, while getting in shape and feeling better. 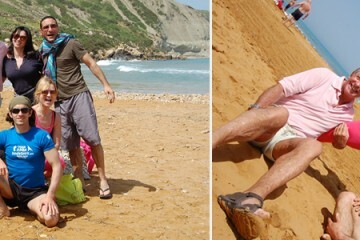 Relax, rejuvenate and explore another continent with a great group of people. Our expert vegetarian chef creates all of the meals and accommodation is Luxury Safari Tents and Guest Houses. Witness the Maasai Mara African animal migration, the Eighth Natural Wonder of the World. 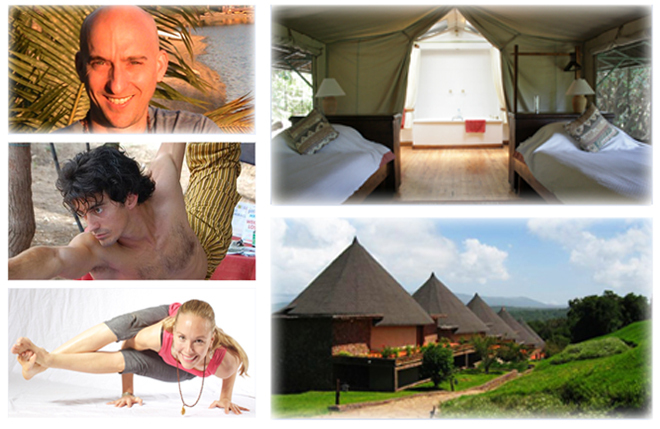 So, if you love good food, great yoga, and always wanted to go on a real Safari, join us on Africa Yoga Safari! Join Balazs Heller's - european Yoga asana & hungarian gymnastics champion - 5 day yoga & Self-development retreat IN June 2013 in a peaceful bungalow ECO village resort in HUNGARY to set a new chapter in your life. Nurture & detox your body with Balazs' freshly prepared homemade vegan meals. practice yoga & meditation in the nature every day. empower your life with 12 hours of self-development training to reach your full potential...be part of a mind-body-spirit transformation IN the heart of Europe. This retreat is limited to 7 people only! Location: Lake Achilles Leisure Park and village Resort is situated in North-West Hungary, in the middle of the 'Kisalföld' Region, 5 km from the city of Gyor, on the banks of the picturesque Holt-Marcal river, in the neighborhood of a landscape protection area. Discover Malta on a bike while having an uplifting blend of activities for the day, including Vegan breakfast & Lunch, empowering Life Coaching Seminar & a Powerful fitYoga session with balazs heller, wrapping up the day with live tibetan singing bowl meditation. A true Mind-Body-Spirit transformation for those who like adventure, nature, self-empowerment, healthy food and unforgettable experience! Csatlakozz Heller Balázs jóga Asana európa Bajnok életmód-önismereti táborához hogy új fejezetet kezdhess életedben. balázs 4 napos lélekemelő programjában napi rendszeres jóga órák, meditációk valamint 12 órányi személyiség-fejlesztő tréning szerepel. A tábor ideje alatt kizárólag frissen készült vegán étkezésben lesz részed, hogy saját magad bőrén is megtapasztald a test-lélek-szellem megújulást. Gyere, légy részese Te is egy intenzív testi, lelki, szellemi megtisztulásnak 2003. július 4-7-e között! helyszÍN: Kisalföld központjában, Győrtől 5 km-re a festői szépségű Holt-Marcal partján, tájvédelmi körzet szomszédságában helyezkedik el az egyedülálló hangulatú Achilles Tó Szabadidőpark és Üdülőfalu.